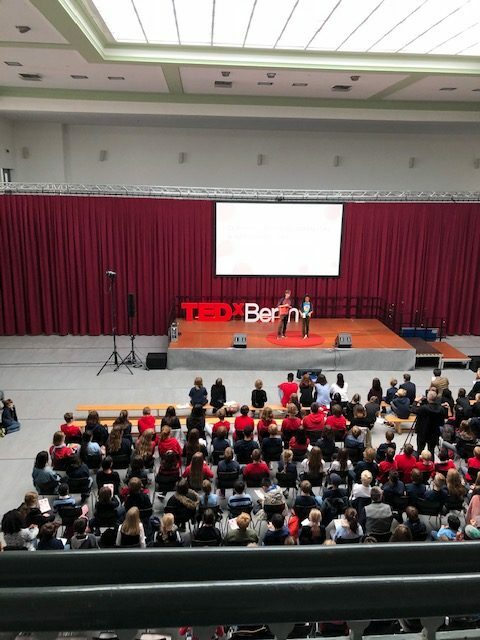 On Thursday, 25th of October students from BCS Primary and Secondary school went on stage in the Franz-Mett-Halle to participate in the TEDx Youth Berlin event hosted by the Berlin Cosmopolitan School. This year’s theme of the event was “Challenge yourself”. 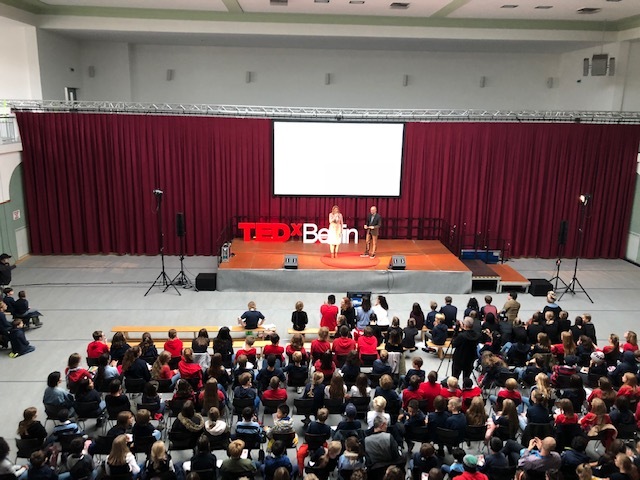 The audience had the chance to listen to a variety of interesting and important topics like “Defining Racism”, “The Environment when I’m old”, “How old is old enough?” or “How to miss somebody”. 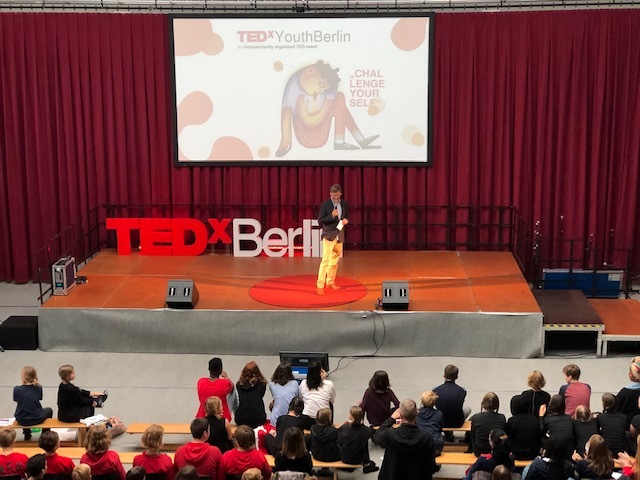 The TEDx Youth Berlin was a great success thanks to all the courageous speakers on stage and the many helping hands who made this event possible. 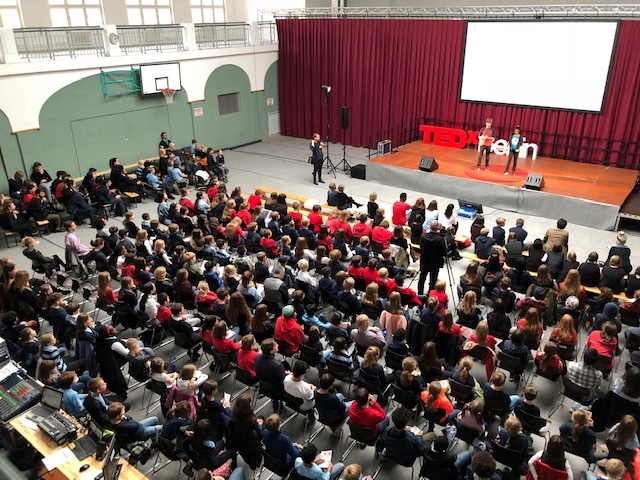 “It was a great mix of moderation, speeches and entertainment, the atmosphere was totally positive.“ said Mr. Erk, Head of BCS Secondary School afterwards. 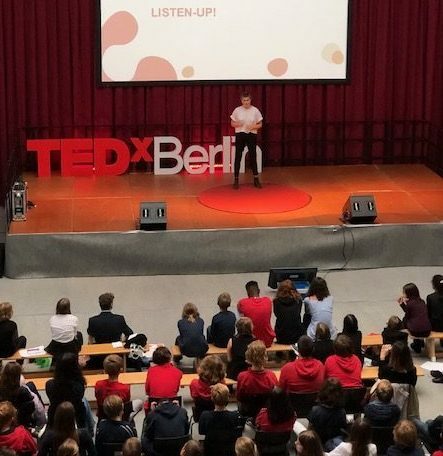 Already many students have asked their teachers when the next TEDx Talk would take place so that they could present their topics. Congratulations and a big thank you to all the speakers from Primary and Secondary School and their coaches, Mr. Carter and Mr. Thach as well as to all the helping hands behind the stage.